We are able to offer highly personalized service to our clientele, comprised primarily of investors, professionals, and small to medium-size businesses. Our staff has been trained to pay particular attention to the needs of each client within a fee structure that is fair and reasonable. We get involved in your business, providing timely advice and consultation on tax matters, accounting systems, data processing, and financial services and estate planning, as well as providing tips for improving your internal operations. Our staff's background in computers, income taxes and management, are a particular plus in this regard. At our firm, we're here whenever you need us to help improve your business's profitability and your own financial wellbeing. Kenneth M. Weinstein has more than 20 years of professional experience in the Western New York business community. He received a B.S. 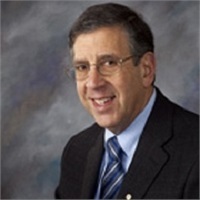 in Industrial Engineering and a M.B.A. in Accounting from Syracuse University, after which he joined Peat, Marwick & Mitchell, CPA's in Rochester. He subsequently worked on systems for IBM, before moving to Buffalo where he associated with a major, locally owned public accounting firm. He then founded the firm Kenneth M. Weinstein, Certified Public Accountant. He is a member of the American Institute of Certified Public Accountants, the New York Society of Certified Public Accountants, The Financial Planning Association and is an active Rotarian. The firm belongs to the Amherst & Ken-Ton Chambers of Commerce. For a no obligation meeting to discuss how we can help you make and save more money call us today!